You Can't Get Closer To The Sea Without Being In The Water! 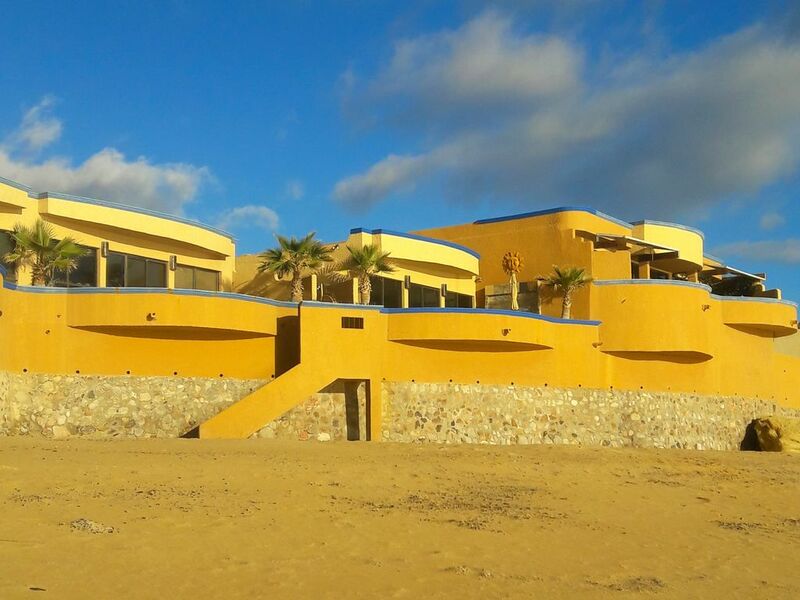 Welcome to Baja Oasis del Mar where you'll enjoy the spectacular views from your seaside patio. High tides makes you feel like you are on the helm of a boat with the water lapping the seawall below. Private stairs to the best sandy beach in town. The townhome is nicely furnished with comfortable seating both inside and out. Two Master Suites offers privacy and comfort for all. Courtyard offers a lush garden and a lap pool that is open during the swim season. You'll love the location with an easy walk into town and all that it offers. The malecon is always entertaining with families, festivals and restaurants. Plenty to do here if you want to keep active such as hiking, biking, fishing, kayaking, golfing, ATV's, photography and more. Or, maybe you want a relaxing vacation just enjoying the views and peacefulness of this small fishing village. San Felipe is a short 2.5 hour drive from the border and roads are in excellent condition for an easy drive. This is a retirement community, all adults are welcome that follow the rules and conditions. We hope to see you here! Originally from Washington State, our family has been coming to San Felipe since the 70's. We purchased this property in 2000 and have developed this retirement community of 10 townhomes. Everything you need in this Full kitchen for your convenience. So many good restaurants in town you will mainly eat out. Adults of any age are welcome if they respect the rental conditions and neighbors. Lot of thought and care went into this Oasis. Hope you can return and spend more time here. Thanks for being great Guests!